To the untrained ear, Dutch and German can sound very similar. And even when written down, the languages can look similar. If your native tongue is English or French, Dutch just seems to be simpler to grasp, although many people coming from the Eastern European countries will have “an ear” for German words and phrases. Learning to make yourself understood in Dutch or German is one thing, but when it comes to the writing, there is no getting around it – German is hellishly tricky. They have RULES. MANY RULES. And there are exceptions to those rules. Many exceptions! Take the simple, often-used word THE. In English, this is the most commonly used function word. (Function words are those short words such as in, the, and of, that help to build sentences). It is used on average 5 times in every 100 words. Let’s take a look at THE in German, and you will see what I mean! The German language has three genders (masculine, feminine and neutral) and four cases (nominative, accusative, dative and genitive). That means that in German, THE can become DER, DIE, DAS, DEN, DEM, and DES. And when you use plural words, you still have three different options to choose from. In Dutch, use of THE is a lot easier. Dutch only knows THE as DE or HET when used for singular words, and once they are pluralised, everything is DE. Having said that, non-native speakers do have to get used to the DE/HET scenario, as it is not always obvious, and rules don’t seem to work too well here. So although hardly anyone will argue that Dutch is grammatically easier to learn than German, this does not make Dutch a doddle. The language has evolved more than many, foreign words are often, but not always, adopted, and for such a small country there are definitely more regional accents and sayings than is comfortable. One province, Friesland, only inhabited by some 650,000 people, even has its own language, West Frisian! But don’t let that deter you – if you would like to learn to speak Dutch, it is apparently up there with the easier options, especially for English speaking people. The Foreign Service Institute (FSI) of the US Department of State has compiled a list of languages easiest to learn for English speaking people and Dutch is ranked in the easiest category: Category I: Languages closely related to English, 23–24 weeks (575–600 class hours). German, on the other hand, is much further down the list and requires, according to the FSI, a minimum of 30 weeks / 750 class hours to learn. Want to learn more? Explore the great live language options available for learning Dutch (or German!) through Flowently – you’ll be glad you did! 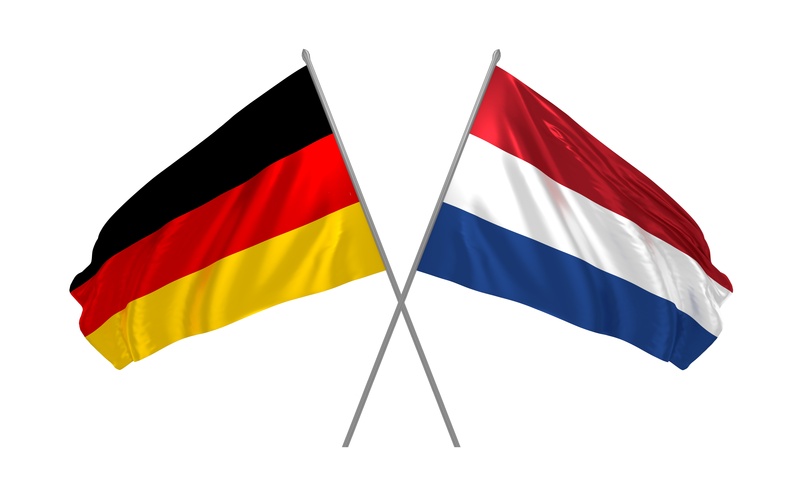 Flowently > Tips > WHICH IS EASIER TO LEARN: DUTCH OR GERMAN?